C-10 fever is at an all-time high and has infected enthusiasts all over the globe. 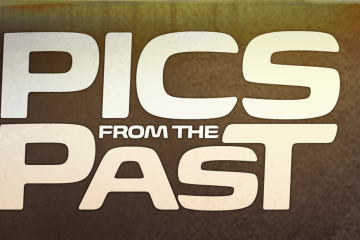 While in Oregon a few years back, we came across a group of truck enthusiasts who had caught the bug, Lonnie Thompson of Carolina Kustoms and local builder Brook Allmaras. Both had completed trucks that were photo-shoot worthy, and we discovered that they were buddies, since the scene is relatively tight-knit. These two recently finished up second gen C-10s of their own, and they have interesting tales to go along with them. 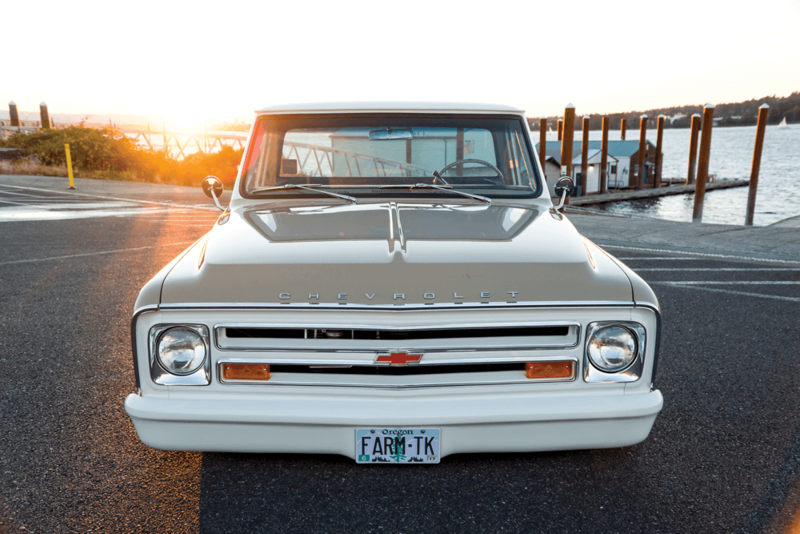 Years back, Lonnie had a customer come into his shop looking to create a ’69 C-10 that would make a leave on the scene. At the time, Lonnie’s brother John was also working at the shop and was a big part of the team. The truck originally came in for some rust repair and a paint job, and eventually turned into a full build. Big plans were laid out as they made major progress, but the build came to a halt when the owner’s wife found out how much funding was going into the project. The truck eventually left and the owner took a breather to regroup. John was also diagnosed with cancer at that time, and unfortunately, he has since passed away. Situations like this are difficult for close-knit family members, but trucks offer a special way in which to honor loved ones. 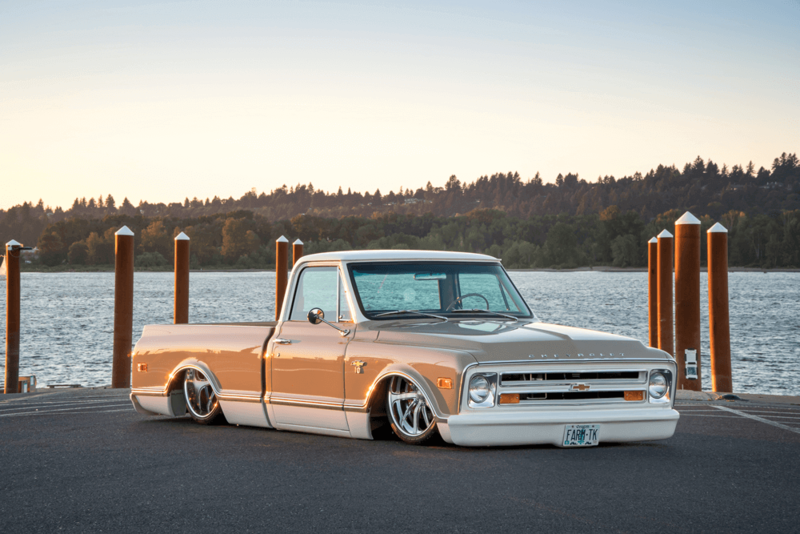 Lonnie decided to create a rolling memorial to his brother, and as fate would have it, the ’69 C-10 that Lonnie and John had worked on together was up for sale and remained a work in progress. This was the last truck John customized before he passed, and Lonnie wanted to see their work completed, so he bought the truck. 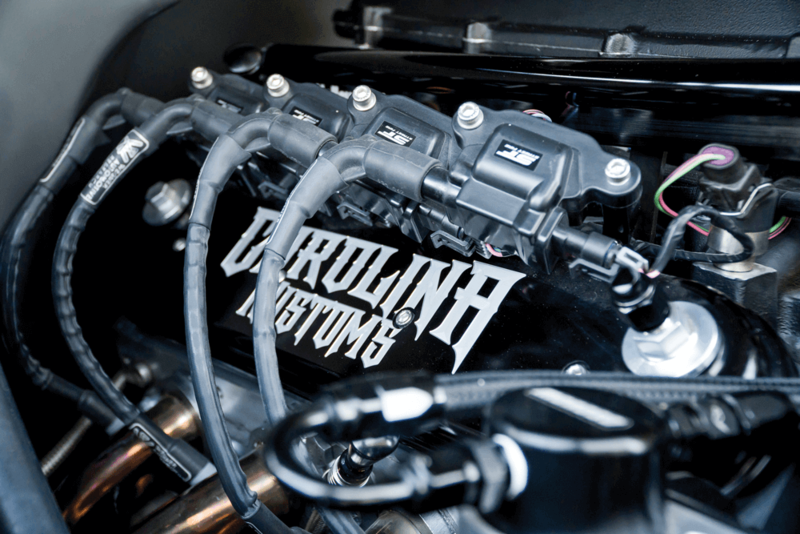 THE LS ENGINE IS DISPLAYED WITH CUSTOM SHEET METAL WORK TO KEEP IT CLEAN UNDER THE HOOD. Unfortunately, things didn’t go according to plan, but Lonnie persevered. He discovered that the cab had been bolted straight to the frame without any bushings, which threw everything off and ensured that his plan of a quick finish wouldn’t be so quick after all. 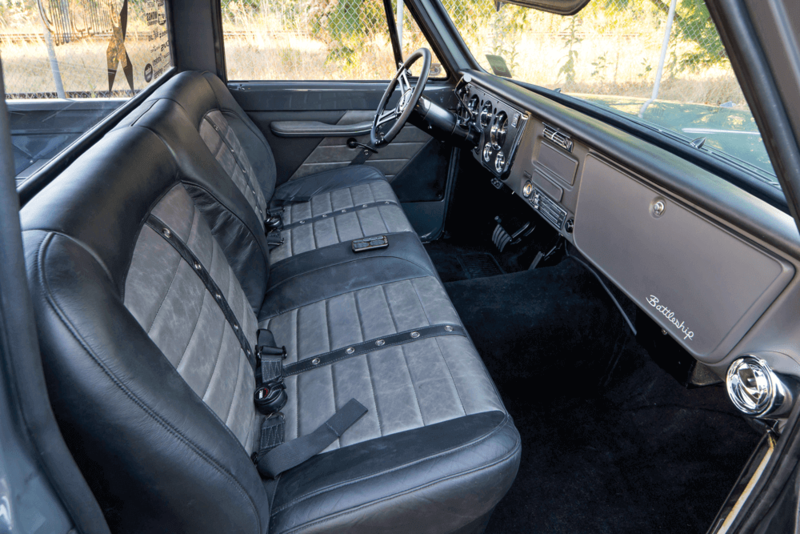 After the truck had initially left Carolina Kustoms, the new owner had the body panels reworked and hard-mounted the cab to the frame. Lonnie was so bummed that he moved the truck outside his shop and took some time to think things over. 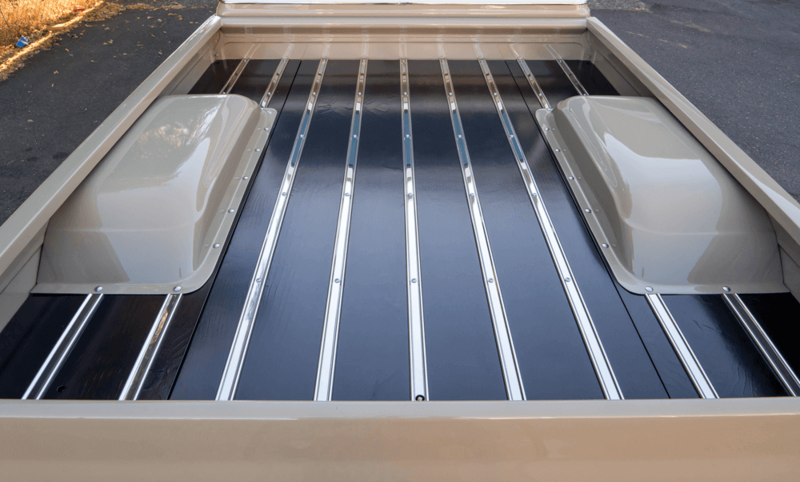 He ultimately decided to scrap the majority of the truck and start fresh, including ditching the roof of the cab, which was also out of alignment. 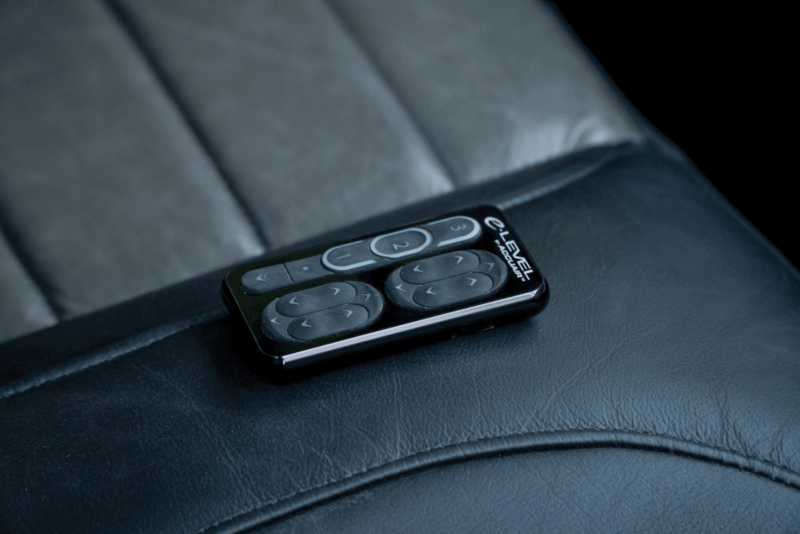 DAKOTA DIGITAL HDX GAUGES KEEP LONNIE AWARE OF THE VITALS. Lonnie changed gears and gave the truck a complete overhaul. 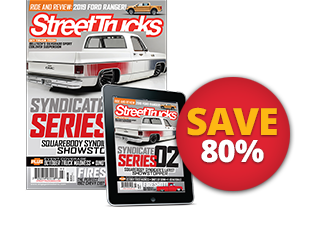 He created a mild build that maintains the original look of these trucks with a few tricks tossed in to shake things up. 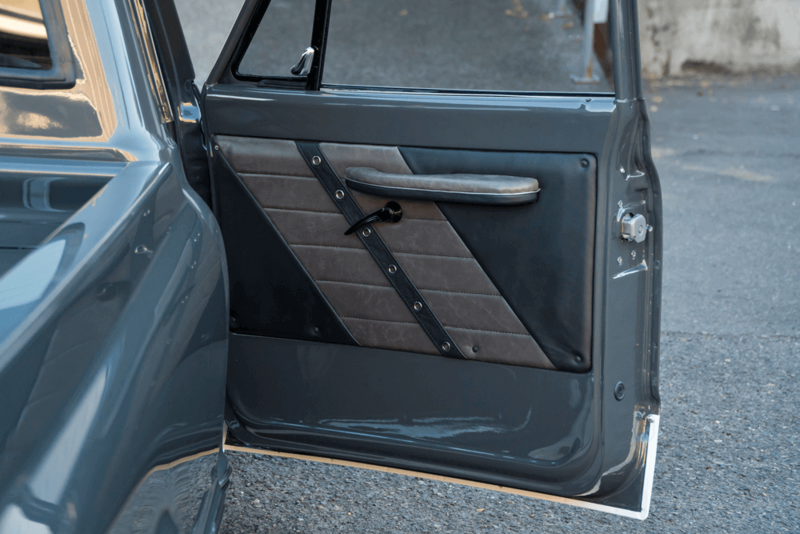 Some of the new features include an LS engine and custom interior, and notable mods to the body include Kindig-it door handles and a raised bed floor with wheel covers that were lengthened or shortened and widened by Brook. 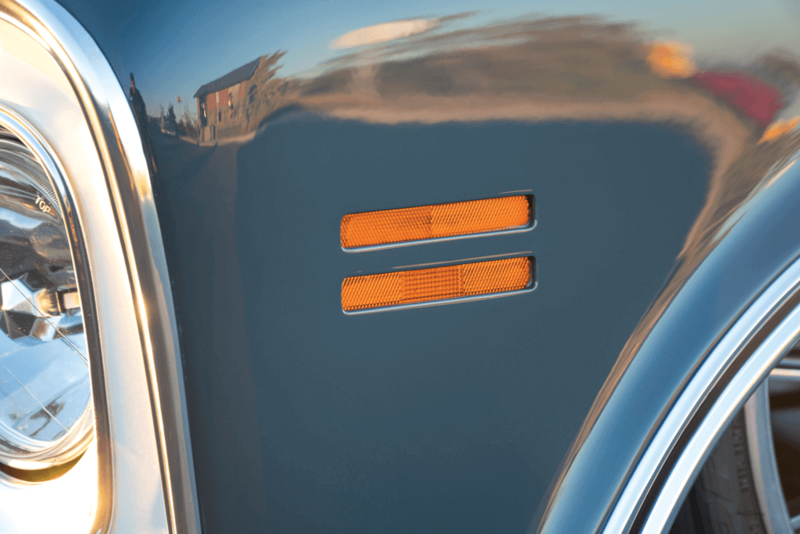 Lonnie kept the recessed marker lights that he and John had originally built. THIS TRUCK WAS NAMED BATTLESHIP IN MEMORY OF LONNIE THOMPSON’S BROTHER, JOHN. 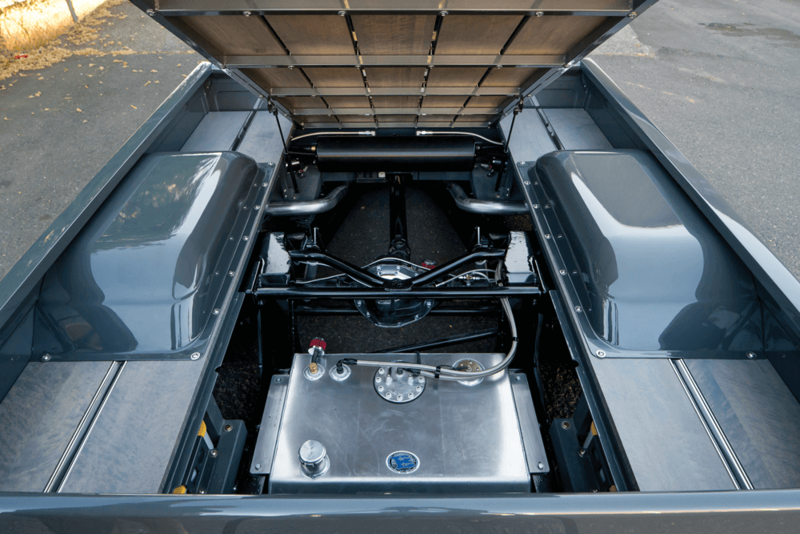 Though the C-10 changed, the goal of finishing it to honor John didn’t. Lonnie watched his brother fight cancer like a battleship. 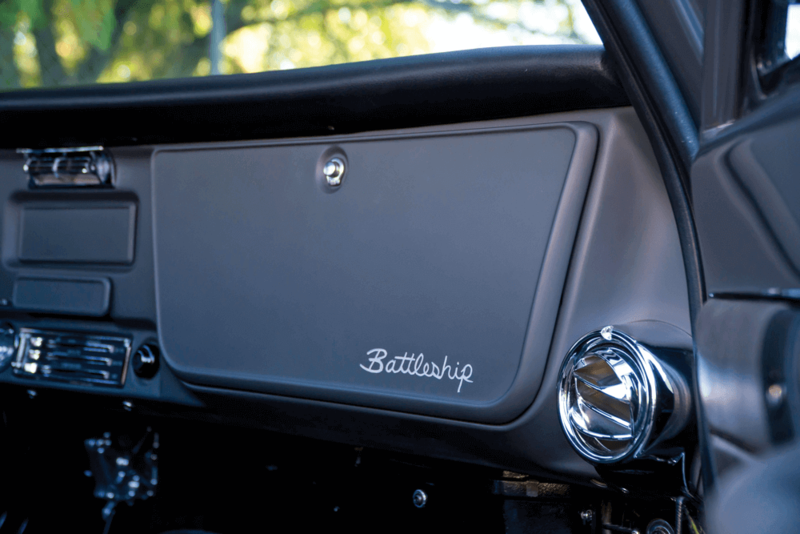 The C-10 fought in similar fashion, so the name Battleship and the gray paint job were the perfect touches to finish off this tribute build. 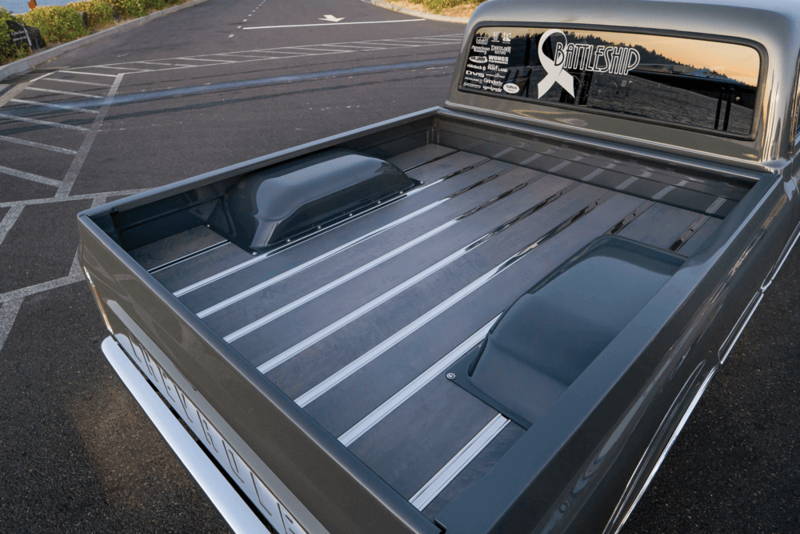 A CUSTOM BENCH SEAT WAS MADE WITH BOLSTERS TO KEEP PASSENGERS PLANTED WHILE THE TRUCK WHIPS AROUND CORNERS. 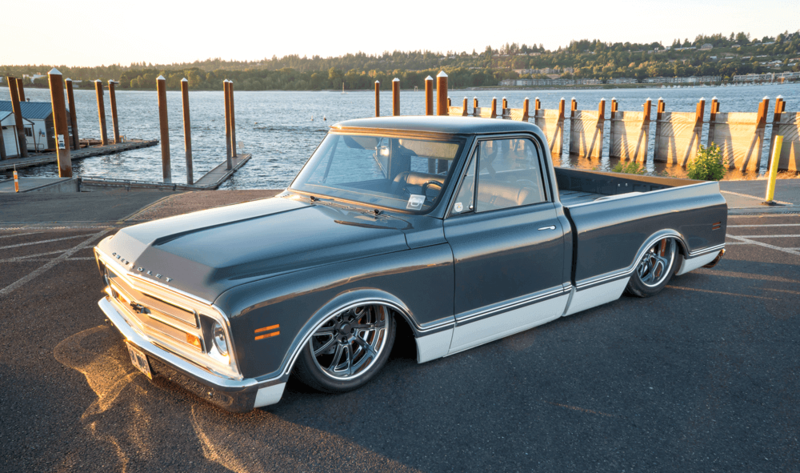 Last time we featured a truck belonging to Brook Allmaras it was a ‘68 C-10 he had recently finished in his own garage. 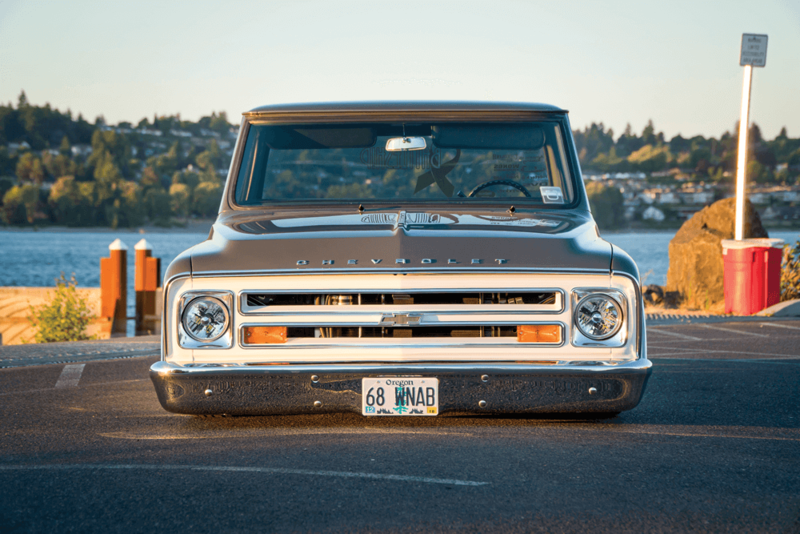 The truck’s photo shoot ran in our sister publication, C/10 Builder’s Guide. Brook called the truck done, but there were still a few things on his list that he hadn’t finished. Luckily, someone made an offer on the truck, and he sold it in order to finance an improved version. After stockpiling some dough in his bank account, Brook devised a game plan for the truck of his dreams. Right now, all you really need is a cab to get the job done, since it’s the one piece that aftermarket companies don’t offer for sale. Brook got lucky and found a decent cab and a frame in a package deal for $800. 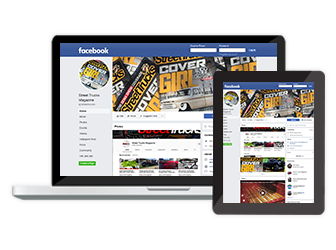 From there, he pieced together the majority of the body panels by searching Craigslist ads. 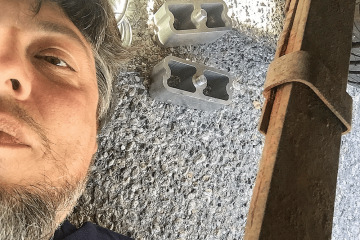 He was able to source most of the original sheet metal, and the only parts that weren’t made decades before are those from Dynacorn that make up the bed. With the foundation set, he cleared the frame of all original suspension and replaced them with components from Porterbuilt Fab. 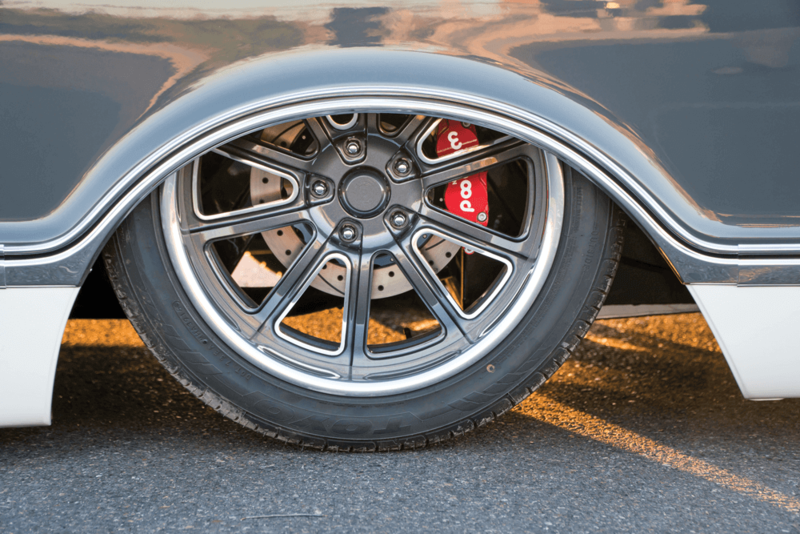 The frame was also modified with PB’s body drop kit to lay the cab’s pinch weld on the ground. Then, an LS3 engine was added, which is definitely an improvement over the older LT engine that his previous C-10 was equipped with. 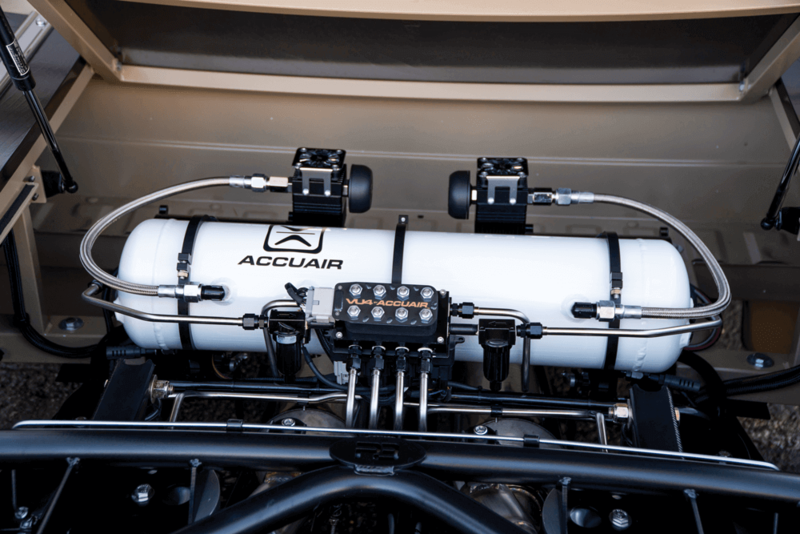 The engine was backed with a 4L80E transmission and narrowed 12-bolt rearend to deliver power to the pavement. Brook raised the bed floor using wood obtained from a redwood tree that his friend Rob Rolph cut down legally. Though we’re familiar with a variety of methods for creating a bed floor, sourcing wood by cutting down a tree is a new one for us. Next, Brook worked some welding magic to create another set of wheel covers. It took three sets of originals to create the set on his truck. 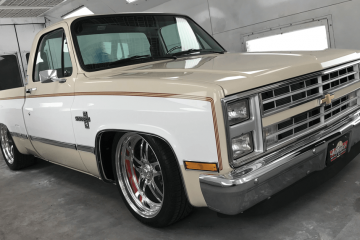 Tan-and-white paint gives the truck a classic appearance, and a set of 22-inch Raceline Contender wheels completes the mean look of the low-slung C-10. 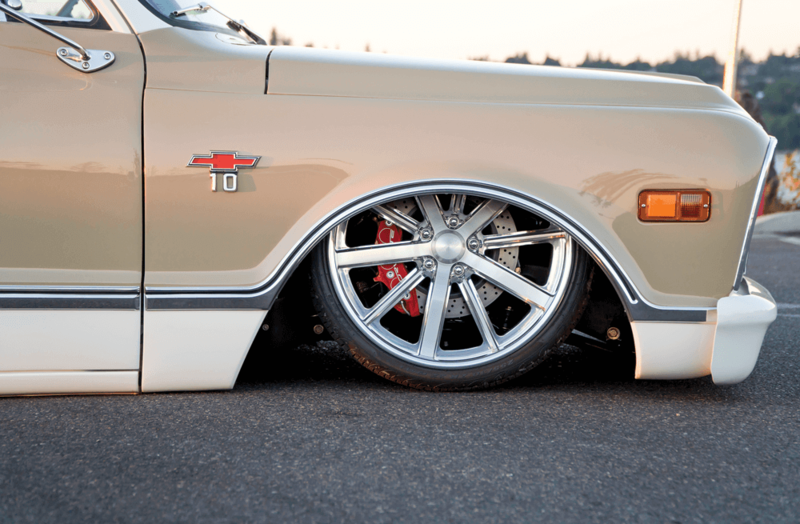 THE RACELINE CONTENDER BILLET WHEELS GIVE THIS CLASSIC C-10 A MODERN TOUCH. 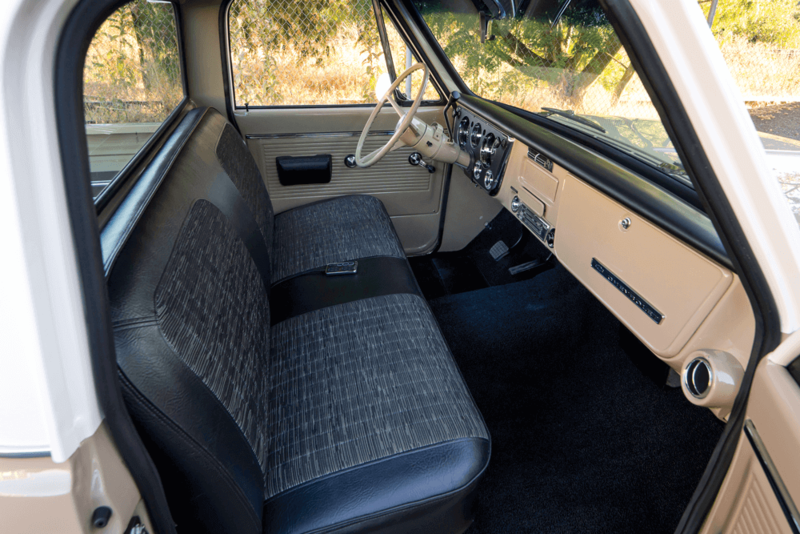 When it came time to work on the interior, Brook sourced the bench seat from his previous truck. Apparently the new owner had new upholstery made, and Brook purchased the seat the new owner no longer needed. 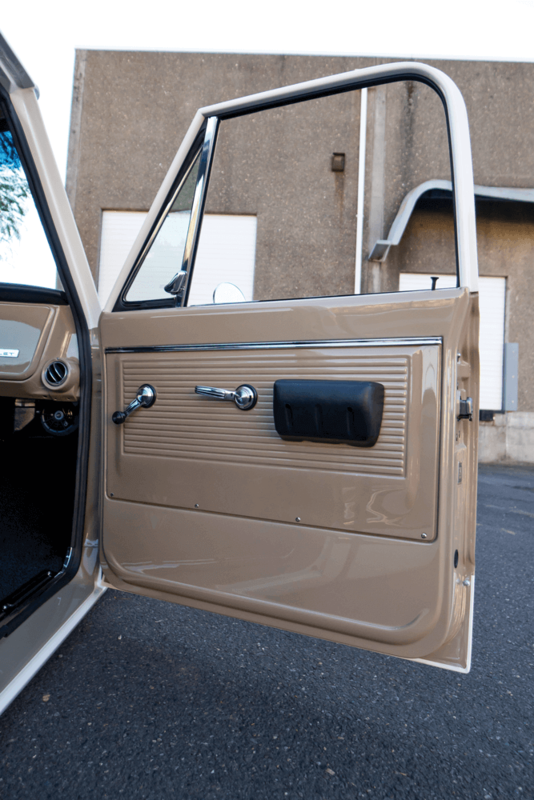 The inside of the cab is simple and maintains the original style of the truck. 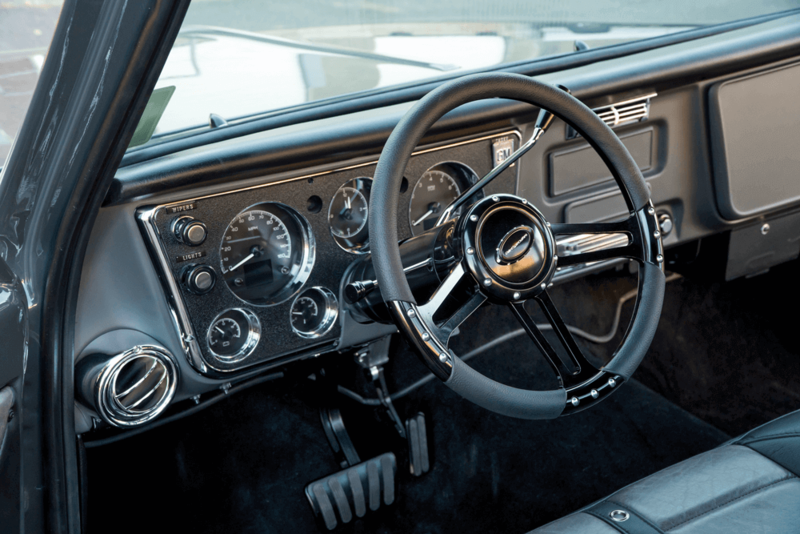 One of the cooler features is that Brook had an original steering wheel restored and placed on a period-correct column, which isn’t something you see everyday in C-10 builds. BROOK’S TRUCK SCRAPES THE PAVEMENT THANKS TO COMPONENTS FROM CLASSIC PERFORMANCE PRODUCTS, PORTERBUILT FAB AND SLAM SPECIALTIES. The best part of this truck was that it was built in Brook’s own garage, which proves that with some skill, you can execute a successful truck build without turning to a shop for help. 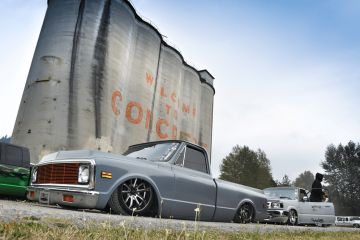 Paired together, these two trucks are a good example of modern C-10 style. WAS OBTAINED FROM A REDWOOD TREE BROOK’S FRIEND, ROB ROLPH, LEGALLY CUT DOWN. 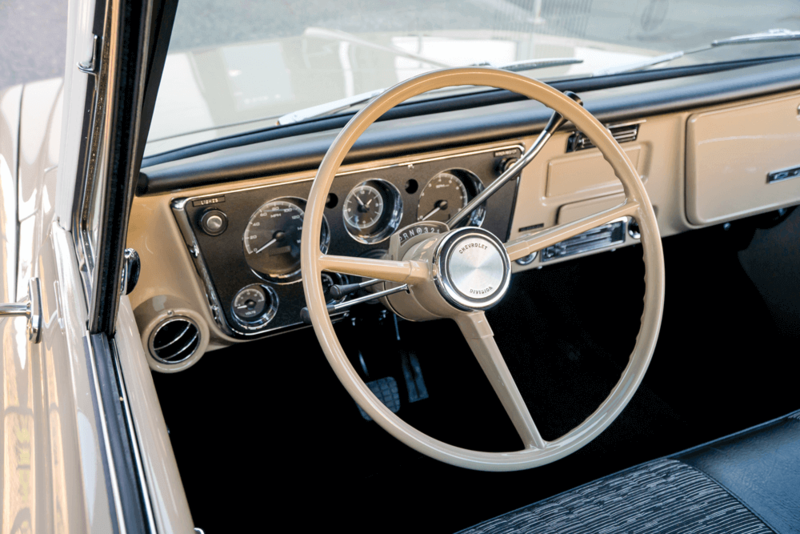 THE REFURBISHED ORIGINAL STEERING WHEEL IS A NICE TOUCH AND MAINTAINS VINTAGE STYLE.